Every year on the official BBC Doctor Who website they run an Adventure Calendar throughout December, giving clips, cards and puzzles as gifts - counting down the days 'till Doctor Who's return to our screens. This year is no different, with 'The Husbands of River Song' airing at 5:15 on BBC one, meaning it's only 15 days until the big day! 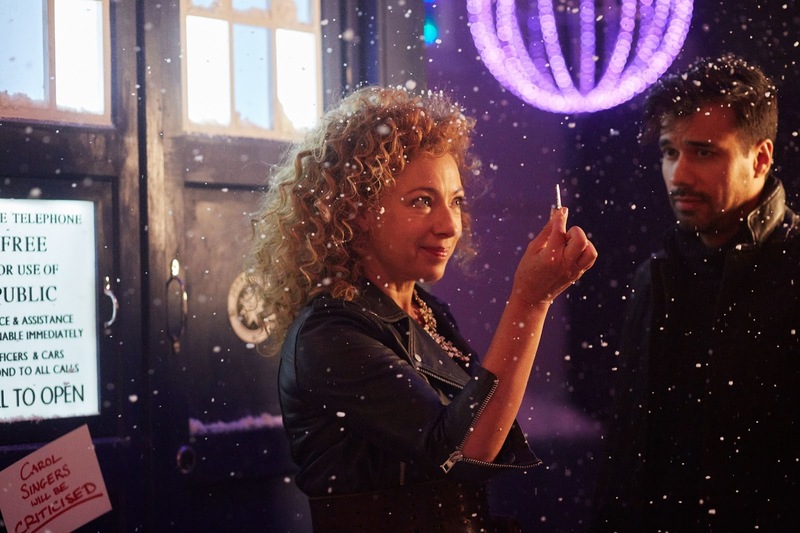 From today, you can create your very own mini TARDIS, similar to the one featured in the years Christmas special, donned with signage and snow! It's really easy, simply print off the PDF, cut out and glue it together - simple! You can access it from here, where you will be re-directed directly to the file. Carol singers will still be criticised though. Big Finish: The Churchill Years - Sneak-preview!